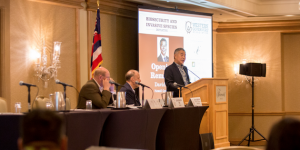 Governor David Y. Ige is the 2018 chair of the Western Governors’ Association and launched the Biosecurity and Invasive Species Initiative. 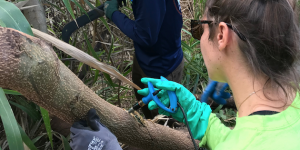 The initiative has produced a list of top invasive species in the West, started an initiative to standardize and share data among states, and sparked discussion through a series of workshops across western states. 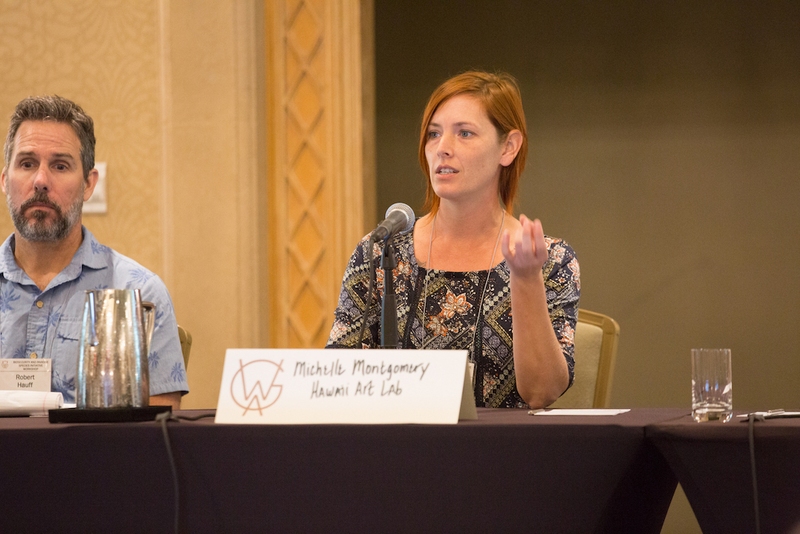 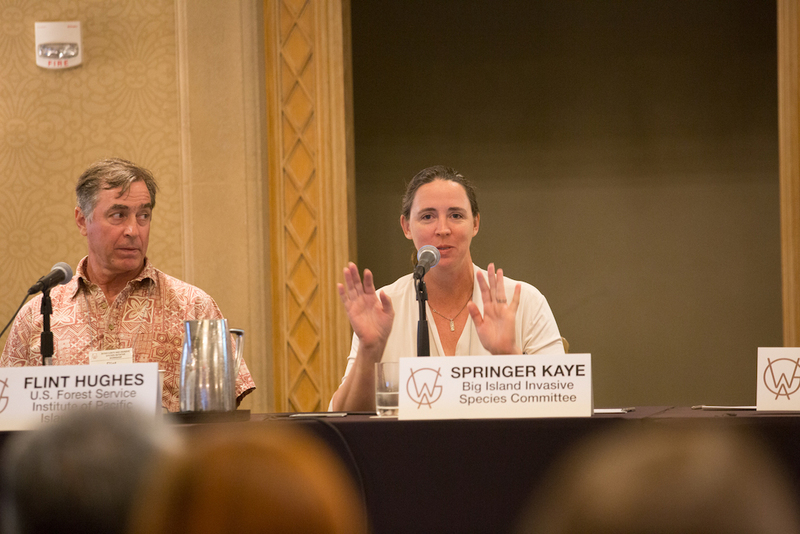 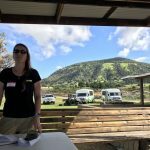 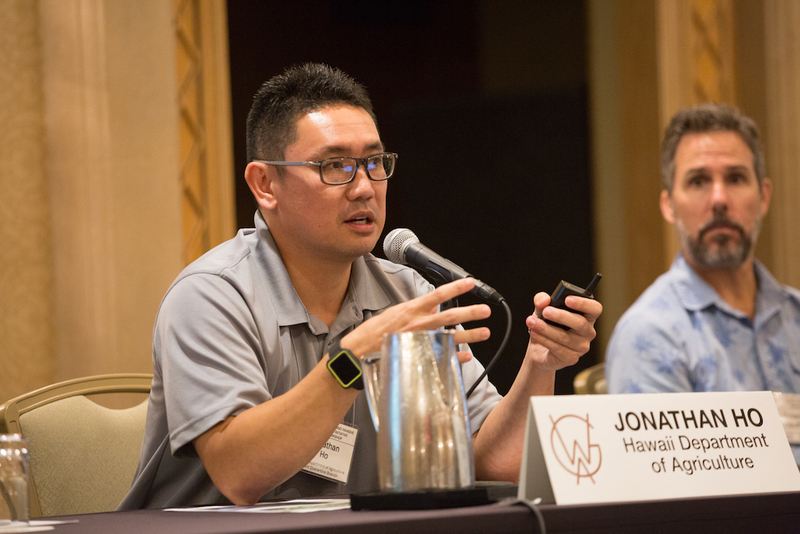 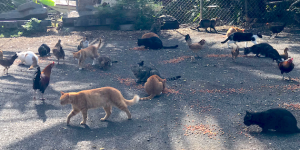 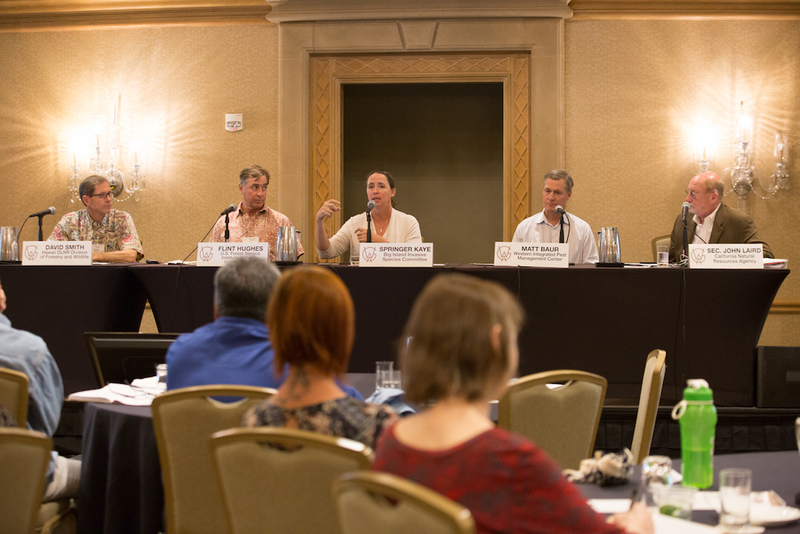 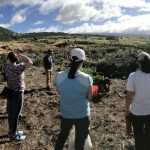 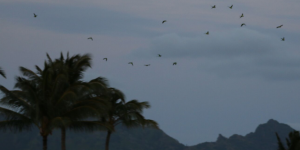 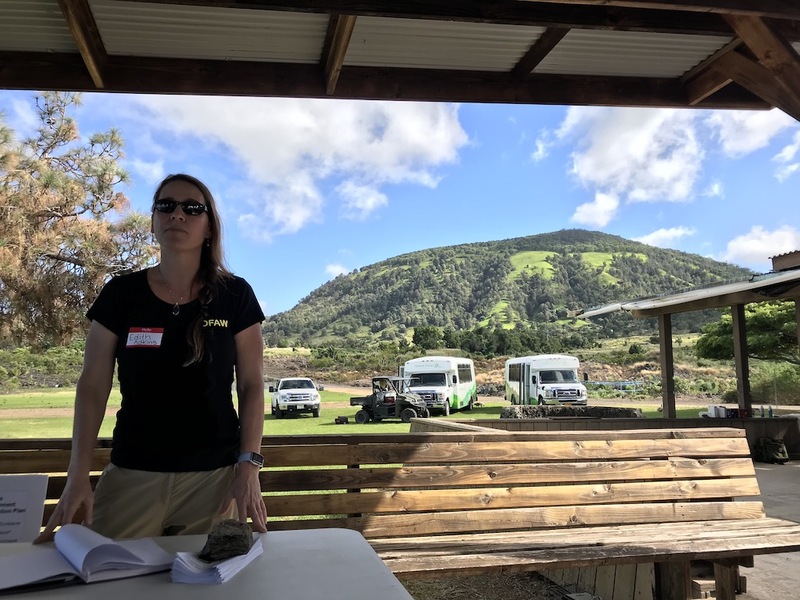 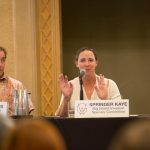 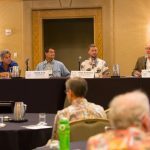 Hawaii hosted the final workshop in the series in Kona on December 10, 2018. 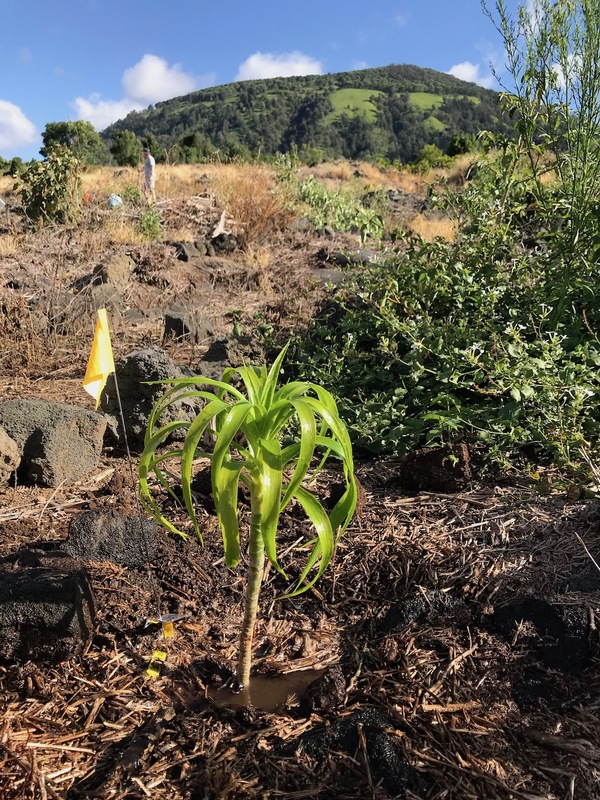 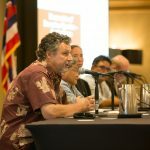 The work of the Western Governors’ Biosecurity and Invasive Species Initiative, the central policy initiative of WGA Chair Hawaii Governor David Ige, will focus on the impacts that nuisance species, pests and pathogens have on ecosystems, forests, rangelands, watersheds, and infrastructure in the West. 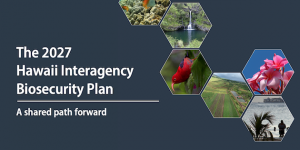 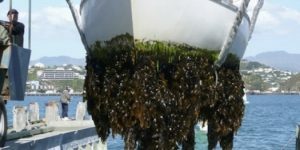 The Initiative will examine the role that biosecurity plays in addressing the risks posed by invasive species. 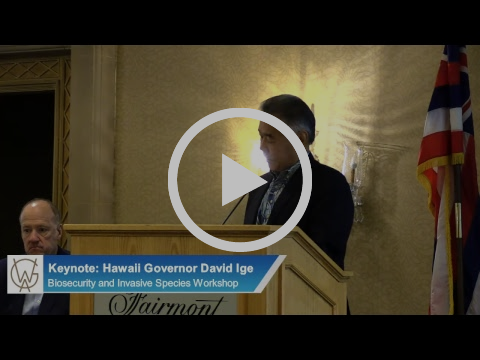 Governor David Ige described his state’s significant work to battle invasive species as not only the “right thing to do,” but work that makes economic sense at the final workshop of the Western Governors’ Biosecurity and Invasive Species Initiative, which focused on “Biosecurity and Agriculture.” The workshop took place Dec. 9-10 at the Fairmont Orchid on the Island of Hawaii, and was moderated by California Secretary for Natural Resources John Laird. 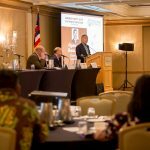 Keynote: Hawaii Gov. 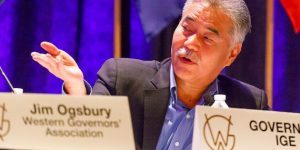 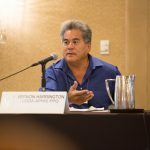 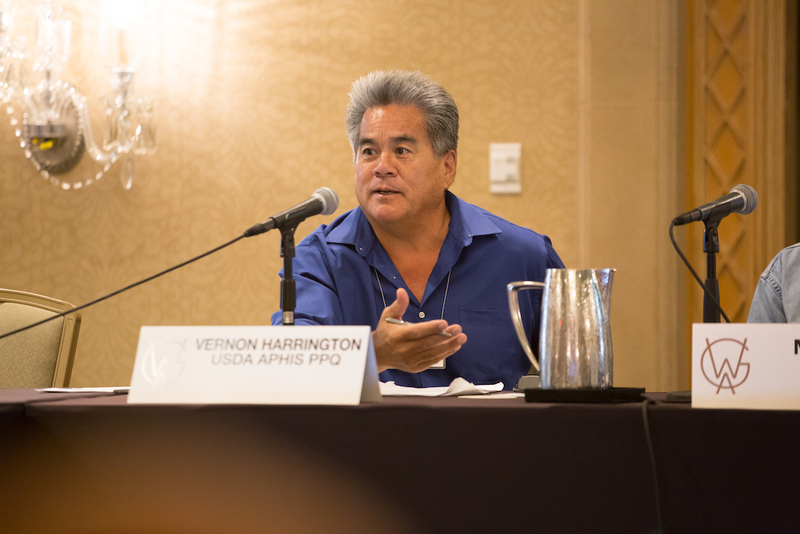 David Ige: WGA Executive Director Jim Ogsbury delivered opening remarks and introduced Hawaii Gov. 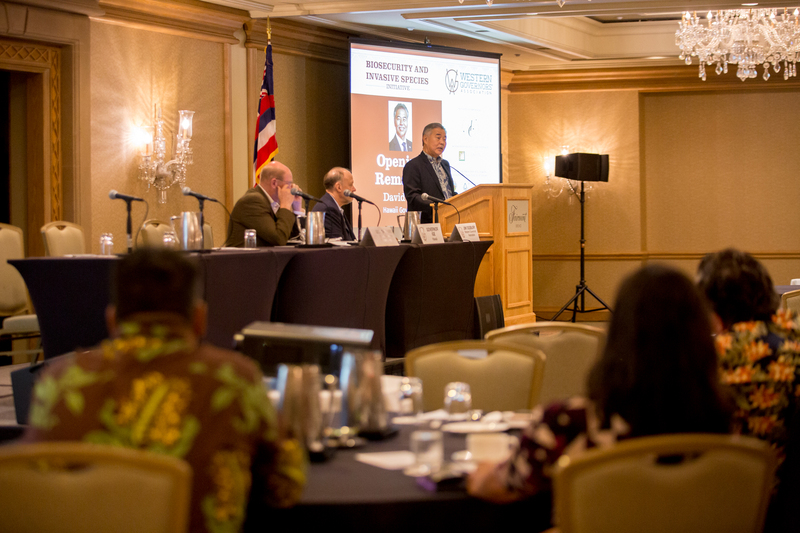 David Ige for a keynote. 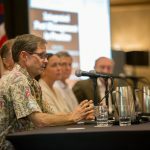 The Governor’s remarks focused on his administration’s work in expanding the role of biological control in Hawaiʻi as a cross-boundary control technique and as a preventative tool to stop the spread of invasive species. 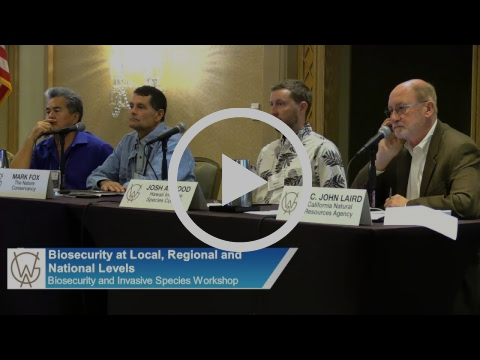 Biosecurity at Local, Regional and National Levels: Panelists discussed biosecurity threats and effective actions to reduce their impacts. 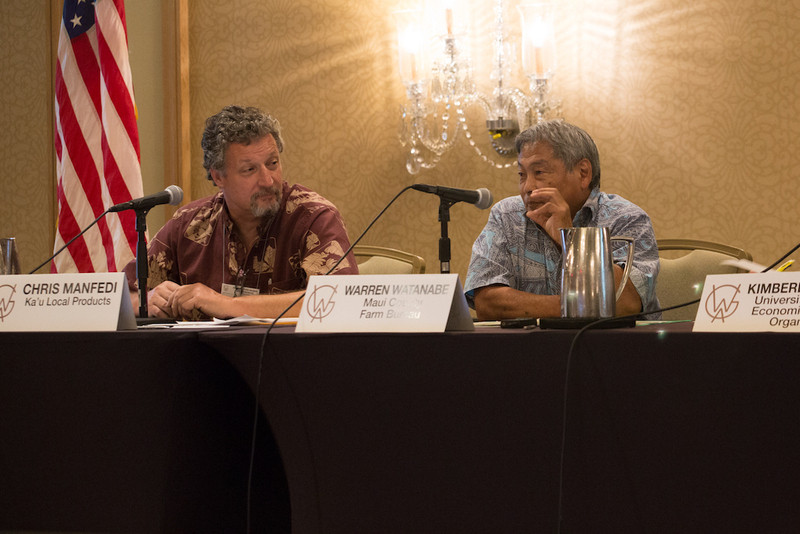 Hawaiian representatives shared highlights of the recently released Hawaii Interagency Biosecurity Plan. 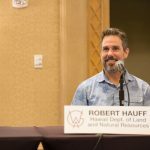 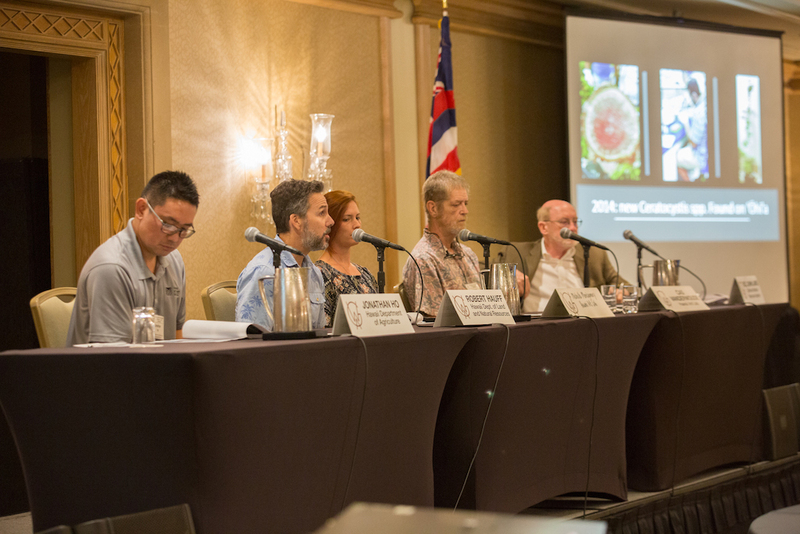 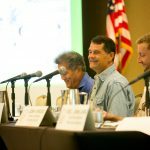 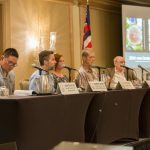 Panelists: Josh Atwood – Program Supervisor, Hawaii Invasive Species Council, View Slides; Mark Fox – Director of External Affairs, The Nature Conservancy, Hawaii Program, View Slides; Vernon Harrington – State Plant Health Director, USDA APHIS, View Slides. 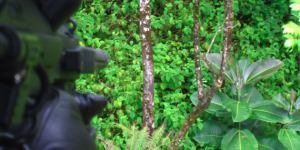 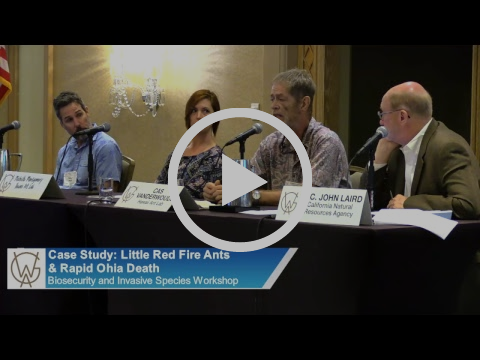 Case Study: Little Fire Ants & Rapid Ohia Death: Little Fire Ants and Rapid Ohia Death have had significant ecological impacts in Hawaii. 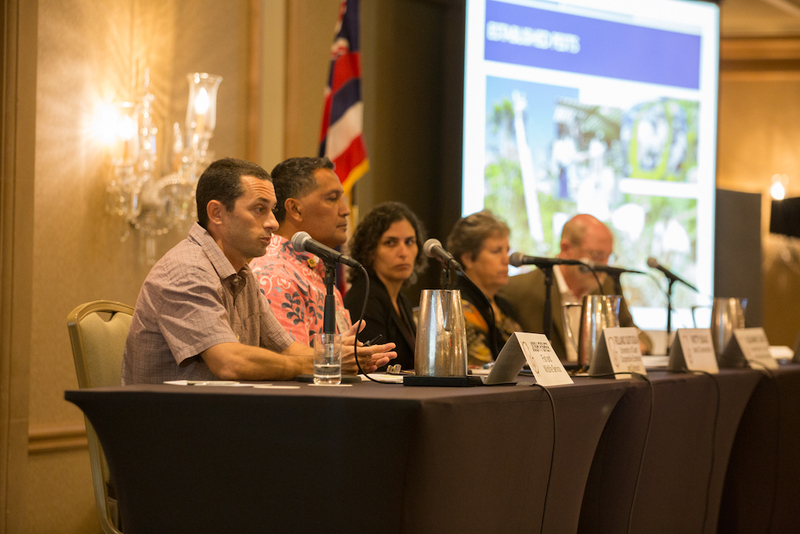 Local experts discussed the lessons learned from the respective management response for each species. 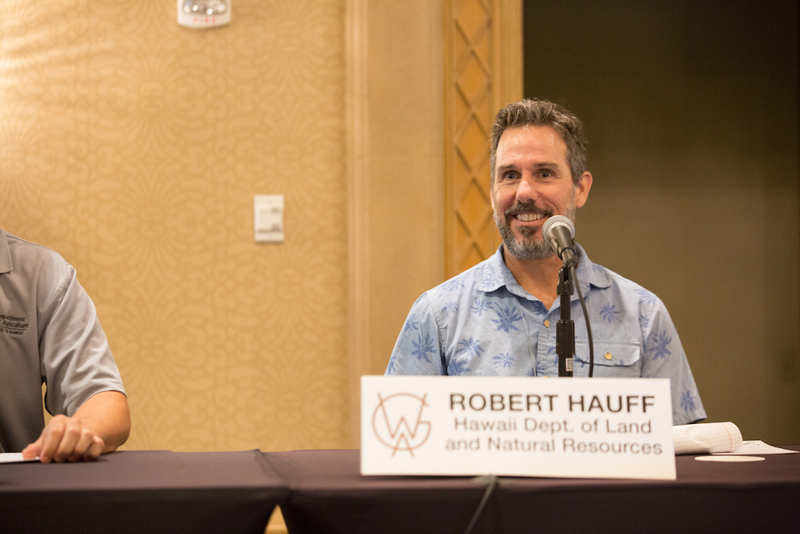 Panelists: Dr. Cas Vanderwoude – Research Manager, Hawaii Ant Lab, View Slides; Michelle Montgomery – Program Specialist, Hawaii Ant Lab, View Slides; Robert Hauff – State Protection Forester, Hawaii Department of Land and Natural Resources, View Slides; Jonathan Ho – Plant Quarantine Branch Manager, Hawaii Department of Agriculture, View Slides. 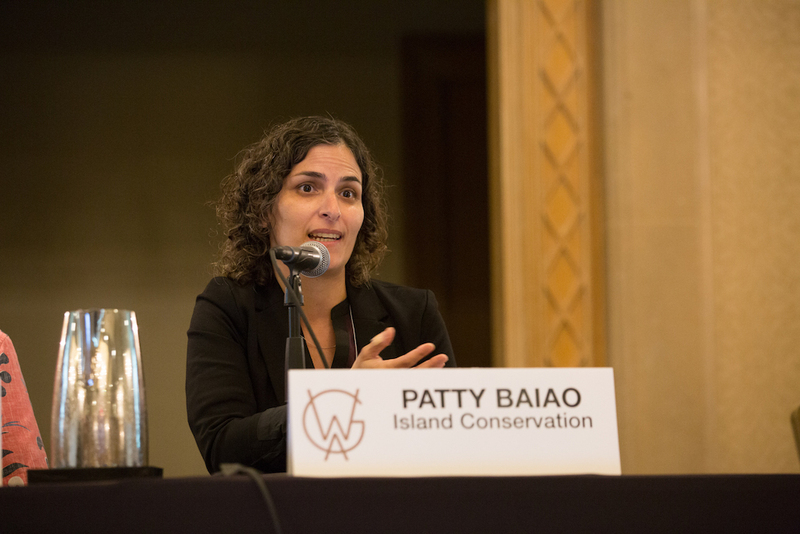 Invasive Species Management on Islands: Invasive species impacts can have outsized effects on sensitive island ecosystems. 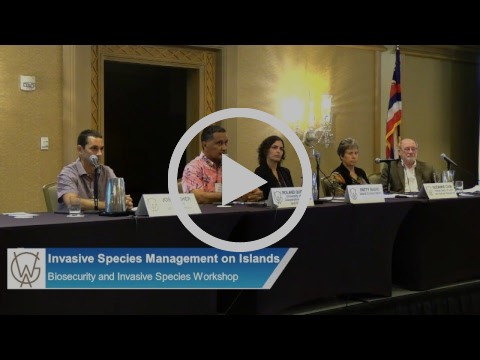 Land managers examined the challenge of addressing invasive species threats on islands and how strategies differ from continental approaches. 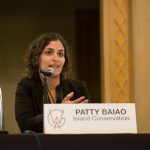 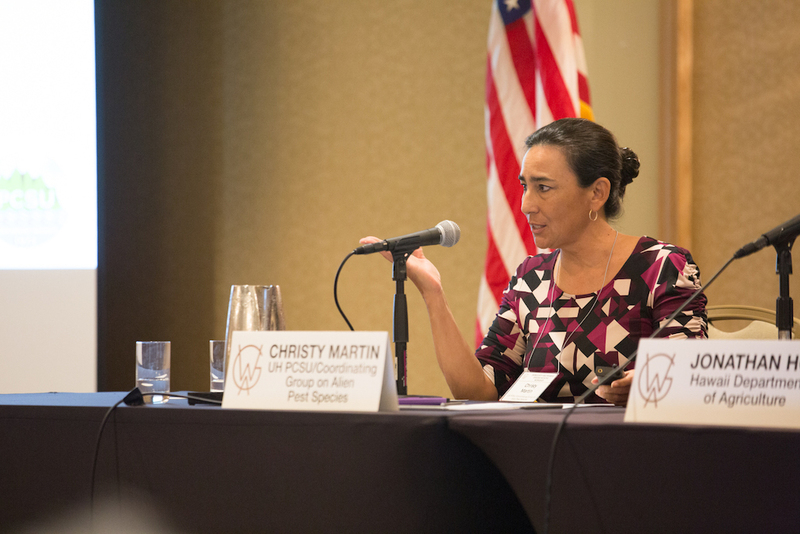 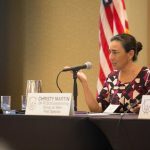 Panelists: Suzanne Case – Chair, Hawaii Department of Land and Natural Resources, View Slides; Patty Baiao – U.S. 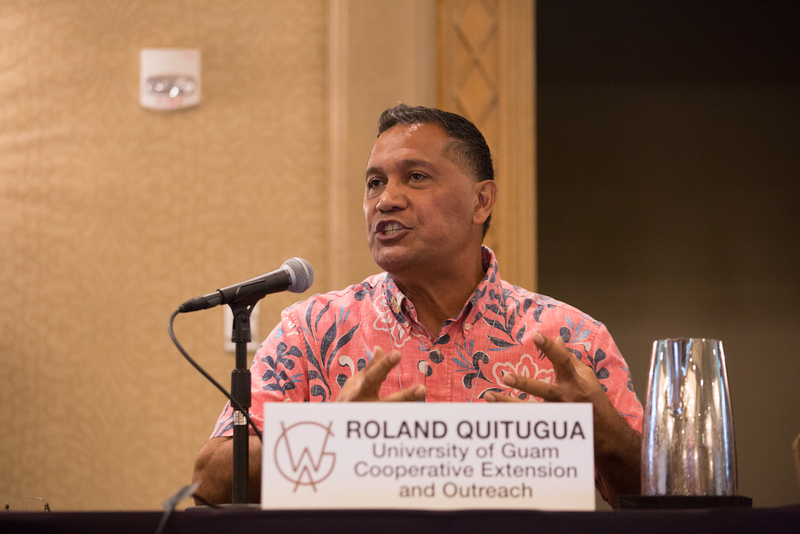 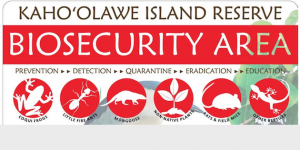 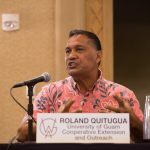 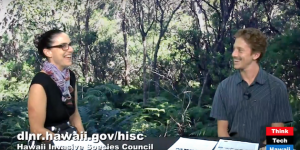 Program Manager, Island Conservation,View Slides; Roland Quitugua – Biosecurity Specialist, University of Guam Cooperative Extension and Outreach, View Slides; Josh Fisher – Invasive Species Biologist, Fish & Wildlife Service, View Slides. 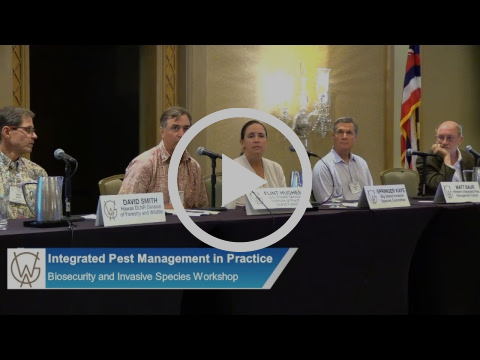 Integrated Pest Management in Practice: Integrated Pest Management seeks to control invasive species spread throughout the agricultural production and distribution process. 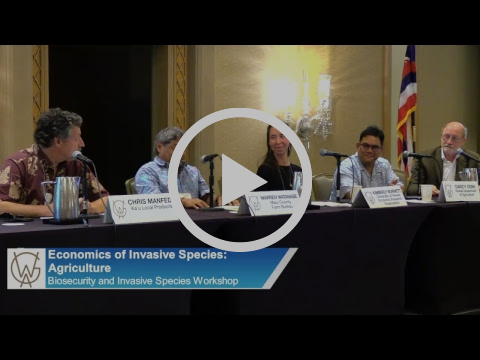 This panel looked at emerging strategies to minimize the risk of invasive species spread through the chain of food production and consumption. 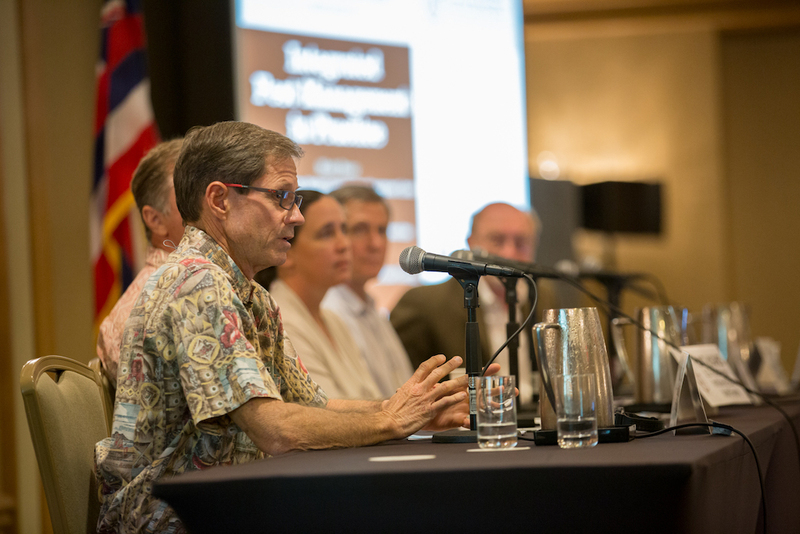 Matt Baur – Associate Director, Western Integrated Pest Management Center, View Slides; Springer Kaye – Program Manager, Big Island Invasive Species Committee; Dr. Flint Hughes – Ecologist, U.S. Forest Service Institute of Pacific Island Forestry, View Slides; David Smith – Administrator, Hawaii DLNR Division of Forestry and Wildlife, View Slides. 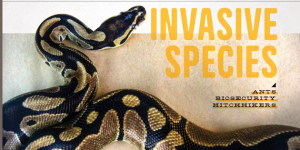 Biosecurity – Pre-Border Detection and Prevention Strategies: Preventing invasive species from entering new areas is the most desirable and effective control strategy. 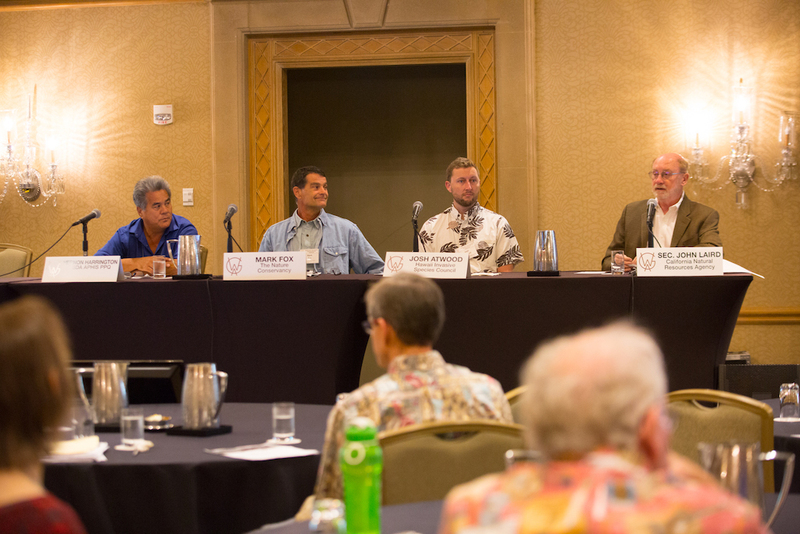 Panelists hared about how various policies can help communities reduce the risk of invasive species taking root in new environments. 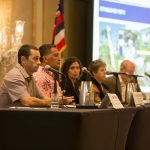 Panelists: Christy Martin – Program Manager & PIO, UH-PCSU Coordinating Group on Alien Pest Species, View Slides; Vernon Harrington – State Plant Health Director, USDA APHIS, View Slides; Jules Kuo – Ballast Water and Biofouling Coordinator, Hawaii DLNR, Division of Aquatic Resources, View Slides; Jonathan Ho – Plant Quarantine Branch Manager, Hawaii Dept. 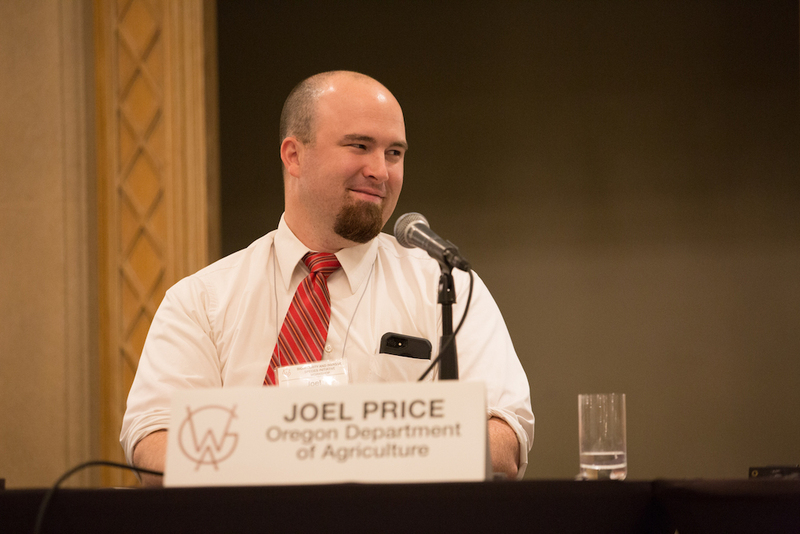 of Agriculture, View Slides. 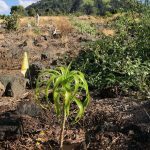 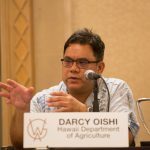 Economics of Invasive Species – Agriculture: Hawaii’s agricultural sector produces high-quality fruit, vegetable and meat products. 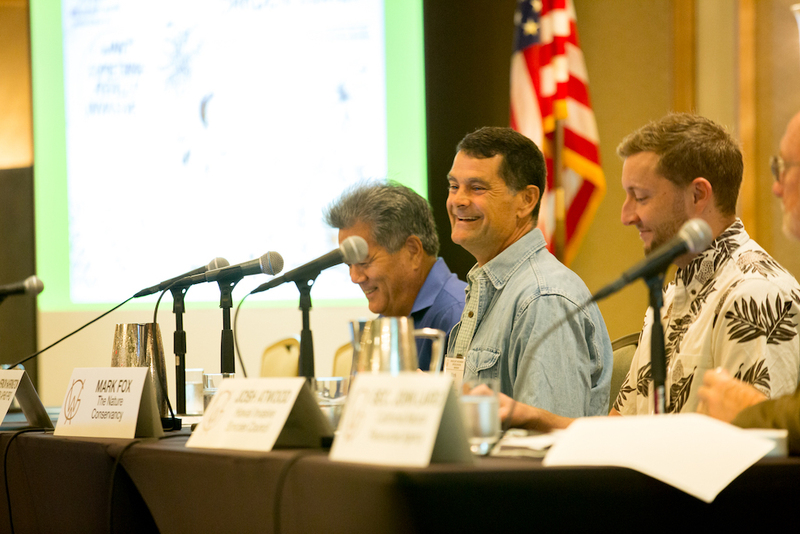 Panelists discussed efforts in the state to reduce the impacts of pests and pathogens on crops. 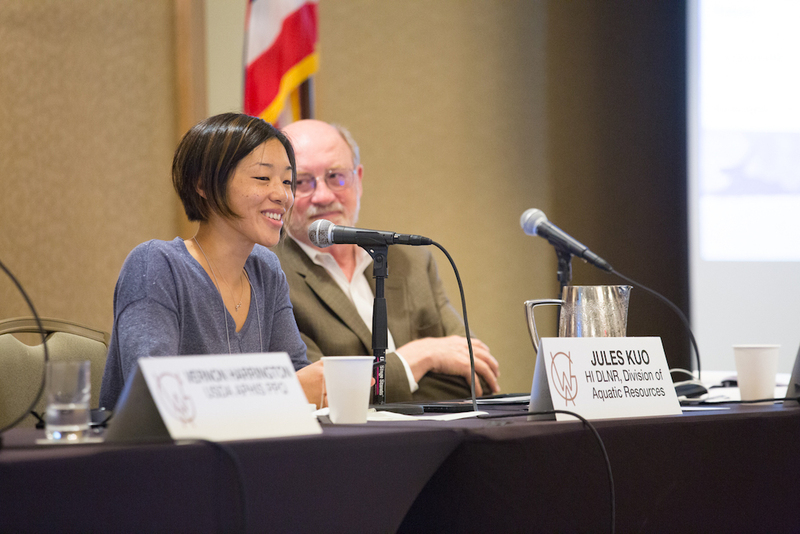 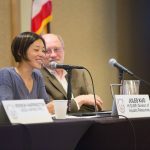 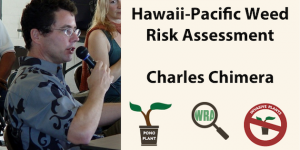 Panelists: Dr. Kimberly Burnett – Associate Specialist, University of Hawaii Economic Research Organization, View Slides; Darcy Oishi – Biocontrol Section Chief, Hawaii Dept. 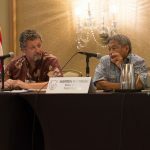 of Agriculture; Warren Watanabe – Executive Director, Maui County Farm Bureau, View Slides; Chris Manfredi – President, Ka’u Local Products. 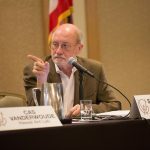 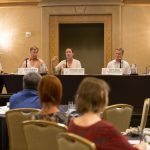 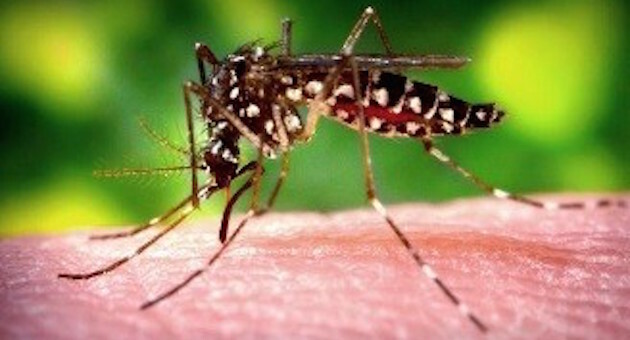 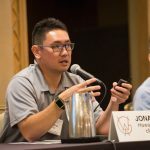 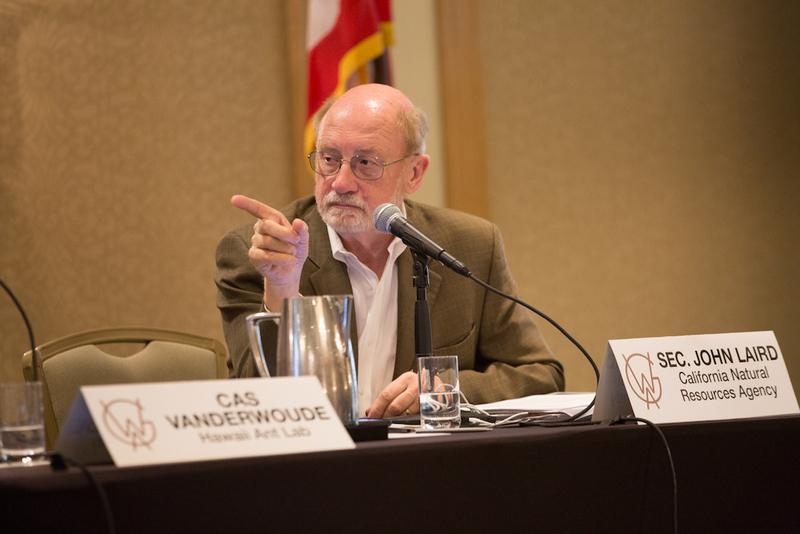 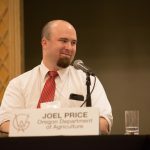 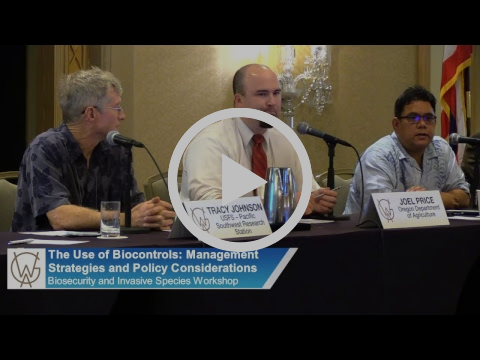 The Use of Biocontrols: Management Strategies and Policy Considerations: Panelists examined how biocontrols such as insects, parasites or pathogens can be used as an invasive species management tool. 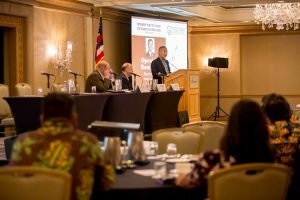 Agency experts also described the policy considerations and challenges when instituting these strategies. 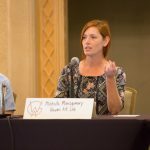 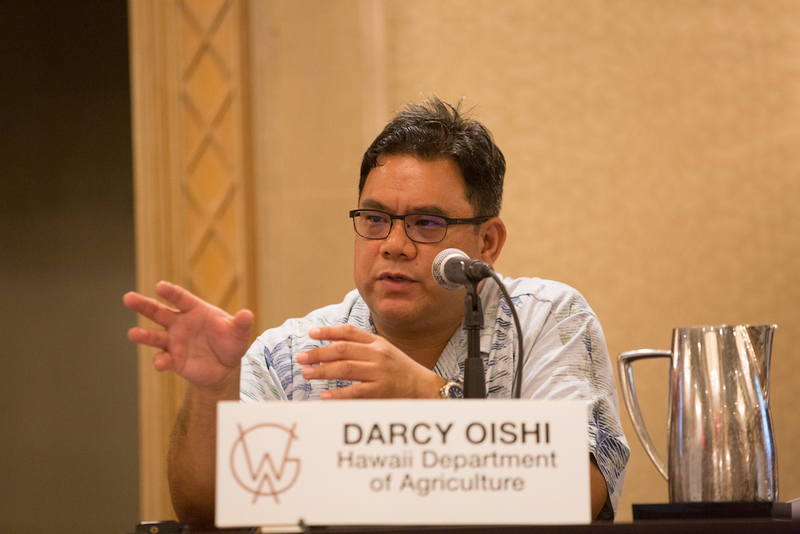 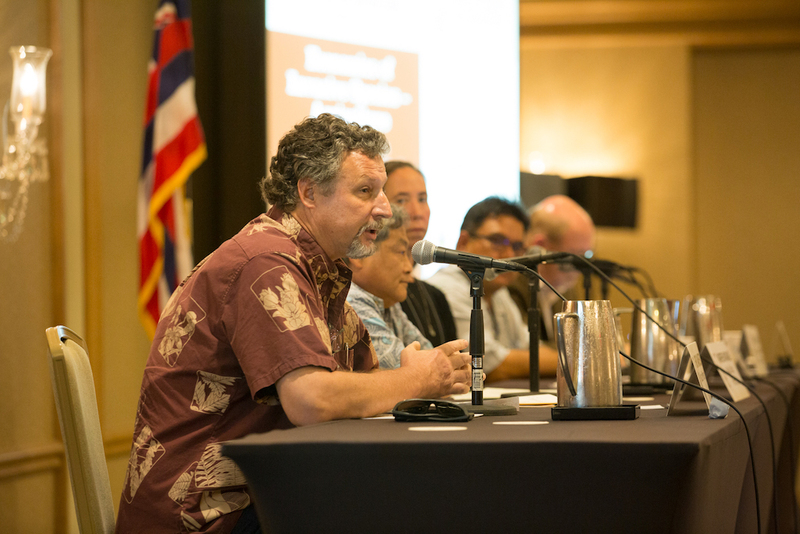 Panelists: Darcy Oishi – Biocontrol Section Chief, Hawaii Dept. 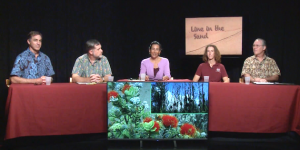 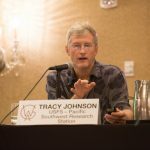 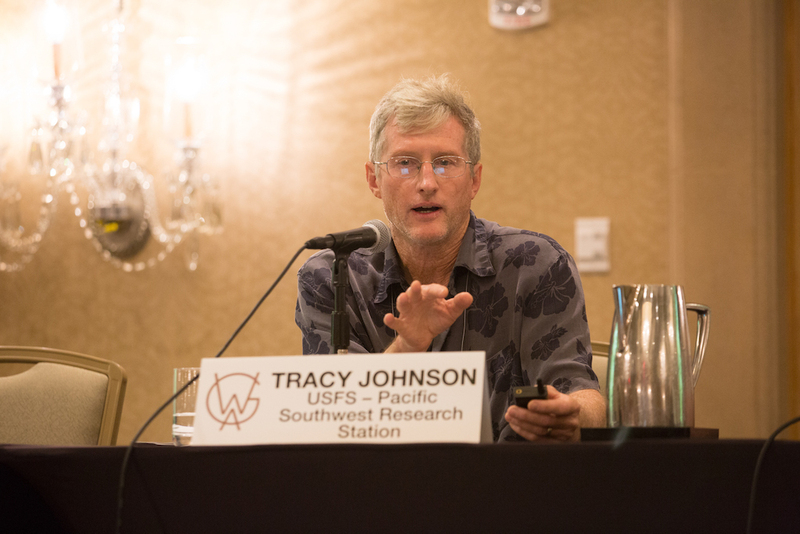 of Agriculture, View Slides; Tracy Johnson – Research Entomologist, USFS – Pacific Southwest Research Station, View Slides; Joel Price – Biological Control Entomologist, Oregon Dept. 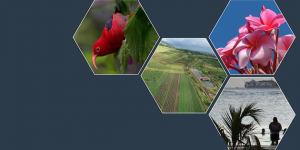 of Agriculture, View Slides.